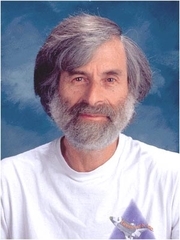 Taken from http://commons.wikimedia.org/wiki/File:Leslie_Lamport.jpg where further information may be obtained, including an e-mail by Leslie Lamport authorizing irrestricted use of the picture. Leslie Lamport is currently considered a "single author." If one or more works are by a distinct, homonymous authors, go ahead and split the author. Leslie Lamport is composed of 3 names. You can examine and separate out names.